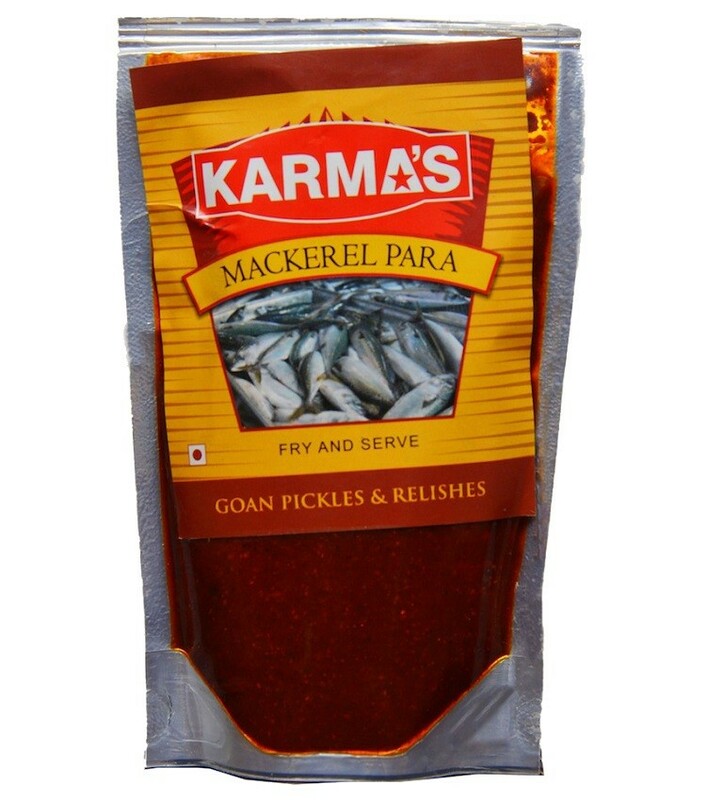 Buy Mackerel Para of Karma Foods from Margao online | Authentic Indian Sweet , Savories and Delicacies from the place they originate by Moipot. 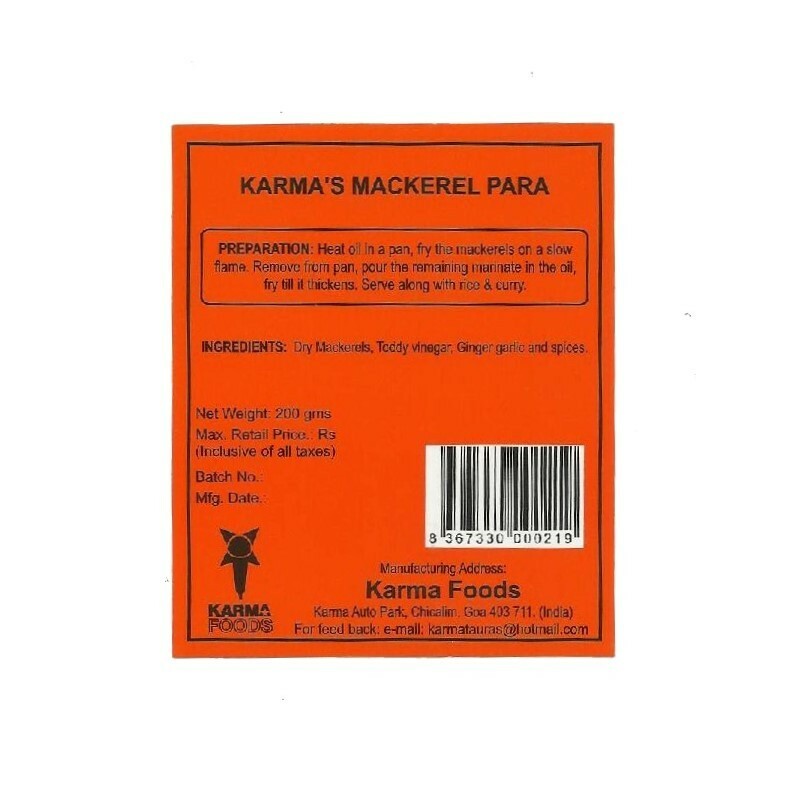 Give your taste bud a different flavor with this Mackerel Para by Karma Foods. An Indian pickle made with dried mackerel fish. A perfect partner for food enthusiasts, this sour combination of flesh and spice is an utmost delight and will leave you wanting more. Cook the content of the packet for about 5 minutes until the fish is tender and releases wonderful aroma and enjoy with bread or dosa or alone. Bon appetite!